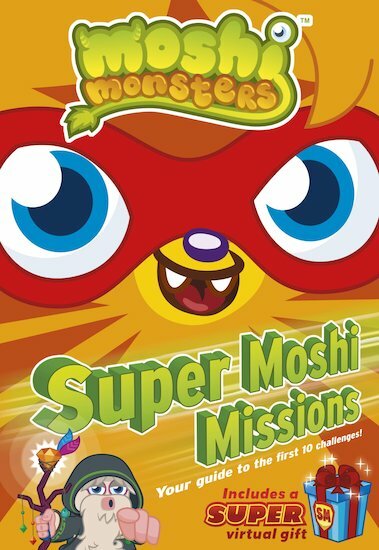 Uncover the secrets of the Moshi Missions! Check out the monsters you’ll meet, the challenges you’ll face – and the cool rewards you can earn! Not everybody has the skill and courage to ace the Moshi Missions, solving clues and completing daring quests to win a treasured prize. Make sure you and your monster are among that special elite. Find out how to join the Super Moshis, and how to obtain your missions from Elder Furi at the Volcano. Then uncover all the secrets you need to excel at each and every quest! Includes an exclusive virtual gift for your room! Help Buster Bumblechops find six Moshlings and six Moshi Monsters in the grid.